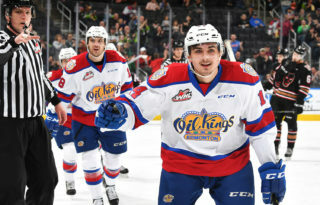 Edmonton, AB — The Edmonton Oil Kings announced the signing Friday of six players to WHL Standard Player Agreements. 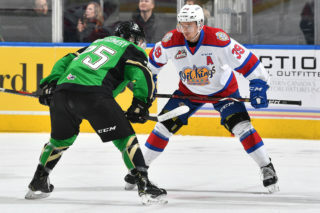 The Oil Kings inked listed players Lane Bauer, 17, Brayden Brown, 16, and Garan Magnes, 16, as well as 2012 draft pick Jesse Mills, 16 and 2013 picks Jordan Dawson, 15, and Kyle Yewchuk, 15. 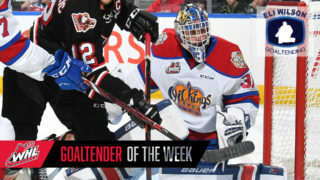 Bauer was listed by the Oil Kings after an impressive showing at training camp in 2011. The forward from Anchorage, AK possesses a strong two-way game and a lot of skill. Brown, a centre out of Calgary, impressed the Edmonton brass with a strong showing in back-to-back training camps to earn an invite. Magnes put up 35 points in 32 games as a forward for the South Side Athletic Club last season in midget, and was another player who impressed as training camp. “He had stages in his year last year where he just kept on improving and improving, and even from the summer time he took another step,” Hansch said. All defencemen, Mills, Yewchuk and Dawson give the Oil Kings a trio of young blueliners with size and a variety of skills, Hansch explained. “We’re fortunate all three kids have got size, and they all have a different element, which is a good mixture to have,” he said. 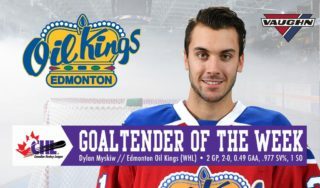 Mills was the Oil Kings’ fourth round pick (88th overall) in the 2012 Bantam Draft. The 6’5” defenceman played for the Okanagan Rockets last season. Yewchuk (third round, 64th overall) and Dawson (fourth round, 86th overall) were back-to-back selections in the 2013 draft. Yewchuk checks in at 6’3”, 179 pounds and Dawson at 6’1”, 164. 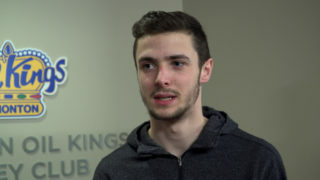 “We like their growth potential, and we’re just very happy they’re part of the Oil Kings,” said Hansch. 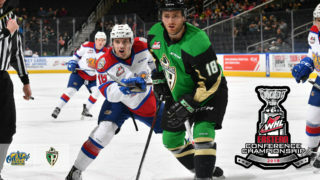 All six players will be in action this weekend as the Oil Kings host their 7th Annual Preseason Tournament presented by Toyota RAV4 Game On at Servus Place in St. Albert. Edmonton plays at 7:00 p.m. Saturday and Sunday nights. Tickets are $10 at the door.